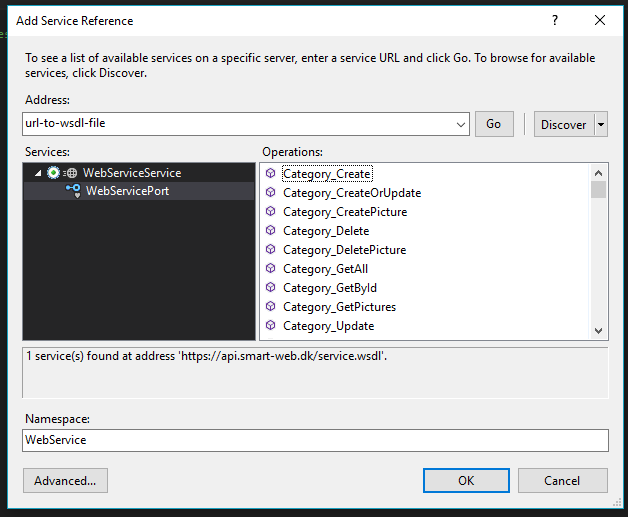 To access the SmartWeb API from a .NET environment, you can easily add the WSDL file as a proxy client in Visual Studio using this guide. 4. 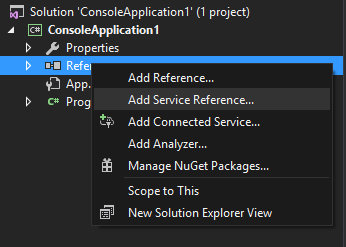 Type a name for your new reference in the section "Namespace". In this case we are refering to it by the name "WebService". Click OK.
6. Use the following example to output a list of products and their variants for a given SmartWeb solution in the .NET console. 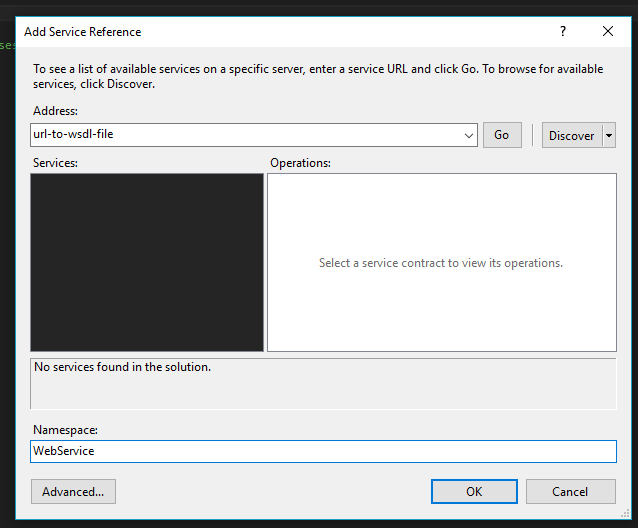 In the example we are refering to the proxy client under the name "ConsoleApplication1.WebService". If you don't have a specific API user, you can fall back to your general login details for the solution. Notice that the proxy automatically wraps arguments and dewraps return arguments. The proxy has been generated using the https://api.smart-web.dk/service.wsdl. Please refer to section 2 or the complete documentation at https://api.smart-web.dk/doc/ for a more detailed description of the various functionalities of the API.